Development continues along the controversial Line 9 pipeline pathway in Toronto even as emergency officials work on response plans in case of a leak or rupture. 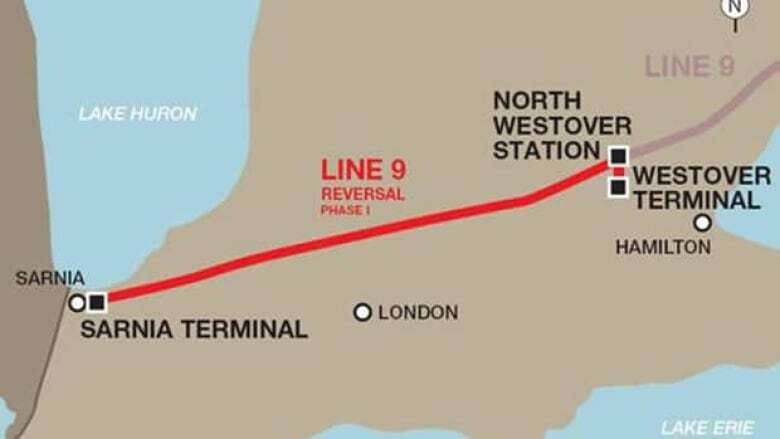 Pipeline operator Enbridge is targeting October 15 as the date to get oil moving through the 639-kilometre line that snakes its way from Sarnia, Ont., to Montreal. Part of that path takes the pipeline through the north end of Toronto. Enbridge wants to reverse the flow of Line 9, so that Alberta oil can be transported to Montreal refineries. Canada's National Energy Board, the federal regulator, has given the energy provider permission to boost capacity in the line to about 300,000 barrels a day. Energy activist Rick Munroe told CBC News that the city is not ready for Enbridge's proposed changes to its pipeline. The pipeline's Toronto-area route is lined with green spaces, condominiums, schools, seniors' residences and even a key subway and transit hub with more buildings going up within steps of the high-pressure pipeline. Line 9 is licensed to carry several different types of oil, including Bakken crude — the same oil that fuelled the tragedy in Lac-Mégantic, Que., last year. Forty-seven people died and the downtown was devastated when train tankers derailed and burst into flames. In Toronto, several so-called high-consequence sites have been identified as a priority for the emergency crews that would have to respond to a potential line rupture or leak. Among them is a series of highrises on Fountainhead Road, near Finch Avenue West and Sentinel Road. About 3,000 people live in these buildings, yet none of the residents who CBC News spoke to were aware they are downhill and close to the line. Munroe has been visiting the Fountainhead highrises since March, hoping to raise awareness among residents. 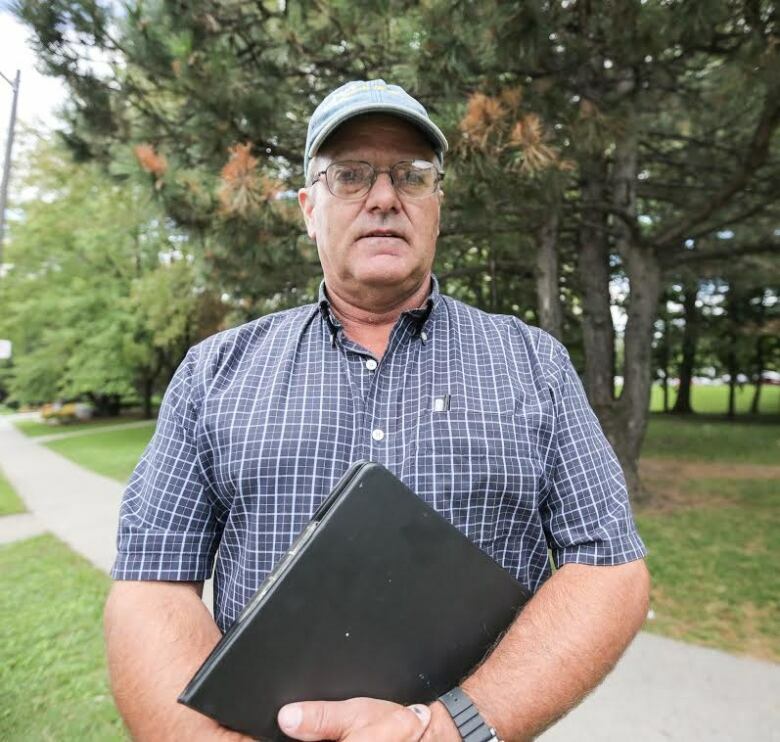 "Worst of all, the city was entertaining — and maybe they still are — a plan to intensify Fountainhead to have a seniors' centre, a daycare," Munroe said. "This is simply referred to in many city documents as a hydro corridor, as if all it has is hydro. Well it doesn't, it also has pipelines." These pipelines could flood the building's garage with oil if the line ever ruptured. The potentially flammable fumes could fill ventilation systems. As Line 9 crosses Yonge Street, it runs to within a metre of the Finch subway station. Every day, thousands of commuters walk around warning signs marking the line underground. 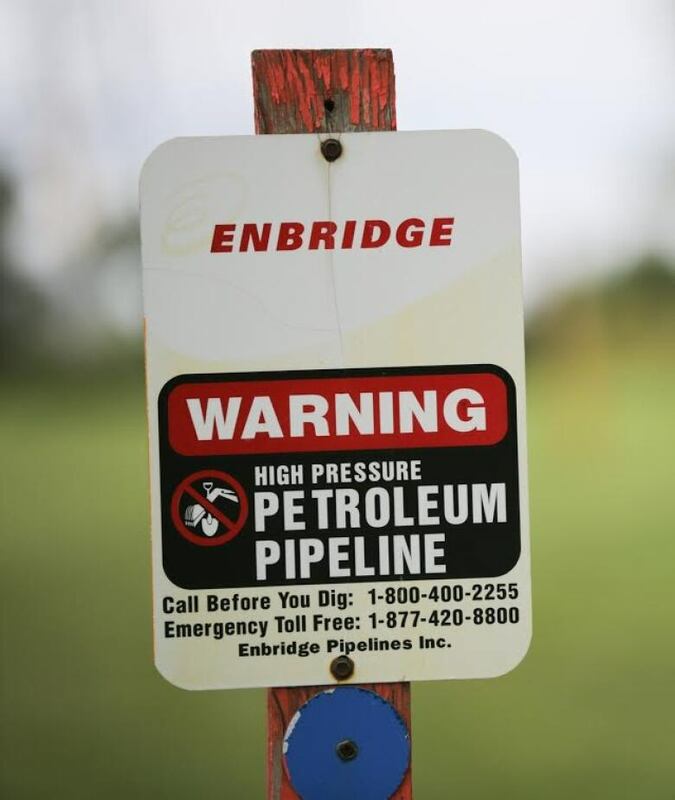 During hearings in front of the NEB, Enbridge said almost 5,000 barrels of oil could flood the subway line, before the valves could be closed in the event of an emergency. The City of Toronto is working with Enbridge on an emergency plan, but there is still no site-specific plan in place. Further east, near Kennedy Road, thousands more residents have purchased condos and homes that are just metres from the pipeline. People there also seemed unaware they lived so close to pipelines. Munroe said the pipelines aren't always clearly marked. "Who would invest hundreds of thousands of dollars in a condominium, and there are others in the city, that are this close to pipelines?" Munroe said. Munroe said pipelines are likely the safest way to transport oil, but the city hasn't done enough to limit the potential damage in the event of a major rupture. "[Oil] would bathe the side of these buildings. The responses to the vapours are very specific. You're not to use any source of ignition, no telephones." If there was to be an evacuation, Munroe asks: "How are you going to operate the elevators?" A little further to the east on McNicoll Avenue, 155 frail seniors live in an old-age home. The city has no site-specific plan to evacuate that building. CBC cameras spotted new construction beside the pipeline in several locations in Scarborough. In the west end, near Keele Street and Finch Avenue West, the city approved the construction of Fire Station 141. It is also just a short distance from Line 9. Wynna Brown, a city spokeswoman, told CBC News that the city notifies Enbridge of any new building plans. "City staff were provided with and commented on draft plans. City staff have also been involved in discussions and initiatives around certain specific sites. City staff will continue to liaise with Enbridge over emergency plans, training and exercises, which are ongoing commitments." Enbridge spokesman Graham White told CBC News that the company has "consulted regularly" with Toronto residents, staff and other stakeholders on the proposal at hand. "This consultation has led to many positive collaborations in which we have been able to make commitments and reach innovative solutions and upgrades to make an already safe pipeline — that has enjoyed an excellent performance and safety record in the city for the history in its more than 40 years of operation — even safer for the people and environment of Toronto," White said. As for public awareness of Line 9, both the city and the NEB say that's Enbridge's responsibility. In Montreal, Mayor Denis Coderre has asked the NEB not to allow oil to flow before Enbridge provides more specific details for his city on handling potential spills and protecting nearby waterways. And while the Montreal mayor is engaged in the pipeline issue, the current municipal election in Toronto has been virtually silent about Line 9.